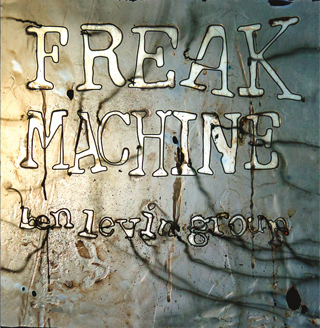 Earlier this year, Ben Levin Group released their sixth studio album entitled “Freak Machine,” another gem in the group’s discography highlighting the term “experimental.” About the group’s work, new album and other topics, Prog Sphere talked with the man-behing this great project, Ben Levin. How did you go about forming Ben Levin Group? Define the band’s mission. Throughout my high school years, I was always writing music for bands and playing shows. When I moved to Boston for college in 2007, I felt uneasy about the idea of going a long time without playing a concert, so I booked a show at a local bar in my first semester. The trouble was that I didn’t have a band yet so I scrambled a few friends together and wrote some songs for the gig. I didn’t know what to call the band so I just used my name. That ended up being the first Ben Levin Group show and I’ve been writing and recording for the gang ever since. You released your latest studio album “Freak Machine” in February. Tell me about the creative process that informed the record. I spent the summer notating ideas on my laptop and eventually carved out a multi-movement death sequence very roughly based on Shostakovich’s 1st Violin Concerto and Lady Gaga songs. Back then, life was a little less complicated because I was still in college, so that’s pretty much all I did all summer. I always work with my great friend/producer Vince Welch. For Ben Levin Group albums, I write the music, rehearse it with the band, then perform it for Vince. We work through the piece and come up with a strategy for how to record it, then after we track it, he messes with the arrangements and decides if anything needs to be added or rerecorded. Then, he sits in his room for months and makes the piece sound amazing. I used standard notation to score out the piece, recorded demos, and then brought it to the band at which point we tweak the hell out of it and make it work live. How long “Freak Machine” was in the making? Tell me about the themes this release captures. I wrote “Freak Machine” in 2010 and recorded it at the beginning of 2011. It came out in 2015 because we rerecorded a lot of it and also got swept up in producing other projects. This release is about the dichotomy between extreme infatuation and equally intense pain. It’s about how our thoughts can grow into monsters inside of our heads and lead our brains to literally destroy themselves. When my thoughts start to overwhelm me, it’s comforting to know that other people have similar experiences. I hope that the album acts as a form of sonic empathy for people who are going through psychological turmoil. What’s the meaning behind the album’s title? There are a lot of meanings at once. The one I feel comfortable mentioning is that “Freak Machine” is a nickname for our brains. 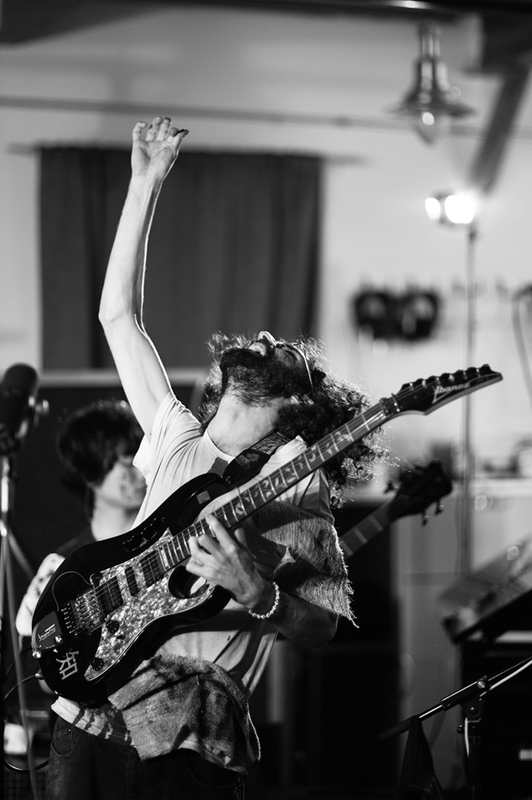 What were the biggest challenges you faced when working on the album? We weren’t good at keeping a schedule when we worked on this album, so it ended up taking too long. Other than that, this was an easy one to make. I think the hardest stuff happened before I even started writing. Back when my loneliness swelled up in front of my face. Speaking of challenges, is there a creative challenge to deal with in that the band members occupy similar sonic spectrums? Yes definitely! In fact, I think this album is poorly written from an arranging standpoint. Everything clashes with the vocals sometimes and it doesn’t always mix well live. I wanted the music to be overwhelming at times and am glad that it sounds the way it does. It reflects the mood and idea perfectly. It’s definitely hard to grapple with balance when we perform live. Have you managed to make any new discoveries as the time passed during the creative process? Do you think that at some point of that process your writing approach changed drastically? Definitely. I started out writing punk songs, then I wanted to be Steve Vai. After I grew up a bit, I wanted my music to reflect my most convoluted and hard to describe feelings. Feelings where words failed to paint the full picture. I started writing long form pieces through which I could develop one feeling all the way through a concert and really reach a meditative state with the audience. This change lead me to write “Pulse of a Nation,” “Invisible Paradise,” a bunch of Bent Knee songs, “Freak Machine,” and all of my upcoming albums so far. I have about 4 hours of music written that is not yet released. Half of that stuff is recorded and in the re-arranging process with my producer Vince. I am able to have my own group because the people in my band are members of a collective called Secret Dog Brigade. Everyone in the collective has their own projects and I play on all of them for free. We support each other and make sure that we can get our music heard. Where do you draw the inspiration from and how do you go about channeling it into writing? I am mostly inspired by normal stuff like love, death, intimacy, our place in the world… stuff that you can’t avoid. I decide when I want to write and then I just started jotting down words or recording sounds, and the music that emerges inevitably reflects things I’ve been wondering or ideas I’ve been exploring. Sometimes I don’t have any ideas or inspiration and force myself to write using little rules and limitation exercises. Then, I tend to find inspiration after a little bit of digging. I tried doing this in public once. I have this series of videos on YouTube in which I write in 10 minute blocks while narrating my own thoughts. I went into the filming process with absolutely no ideas or inspiration but found lots of it as the writing progressed. What non­-musical entities and ideas have an impact on your music? I am fascinated with Elon Musk. He built a rocket company from scratch, with no knowledge of rocket science and figured it out. The thing that is most amazing about this, is that 3 of his rockets crashed and exploded before he and his team managed to get their fourth rocket into outer space. Now they are getting hired by NASA to send equipment and eventually astronauts to the International Space Station, and soon they’re going to be able to make reusable rockets. I think about how Musk must have felt watching his rockets crash whenever I am feeling lost or discouraged. He is a dreamer who knows how to back his vision up with logical processes and great team management. He and I are both people with a dream for the future and I want to be as dedicated and hard working as he is. His dream is to support the mind and bodies of humanity by helping us become multi planetary and more efficient with our resources on earth. My dream is to support the spirit of humanity by adding my contribution to the beautiful sounds that echo through generations and pull the past forward with us. What kind of gear did you use for recording songs from “Freak Machine”? I use an Ibanez Jem guitar and get initial guitar sounds on Guitar Rig. Then, Vince runs my Guitar Rig sounds through amps to make crazy tones. He and I both use Reaper for our DAW and I know he’s a big fan of the Sound Toys effects plug ins. I think every instrument, tuning system, and notation language is a piece of technology. Therefore, the advancement of music has always come as a result of technology evolving. Music and technology are inseparable. I think music is too vast to contain in any sense. I can’t think of any purpose that is beyond music. Music runs through family, inspires both creation and destruction, and is inherent in everything. I think it’s a great time to make music. To me, having an audience is the most important thing and it’s much easier to reach people now. A music career takes a lot of hard work. Although some boring music becomes popular from time to time, the safest way to have a good career is to be amazing at what you do. If you make something amazing, people usually notice if you put it in the right places online. People might not buy recordings very often, but recordings are a fairly new technology in music history, so it’s too early to consider recording music and making money inherently connected. However, I think digital currency like Bitcoin will offer some new business models for musicians so I’m not worried yet. Also, for as long as music has existed, there have been people performing it and people teaching it. There seem to always be lots of opportunities to make a living teaching and performing music, so that’s good news. I am going to make albums regardless of what happens with monetization. That’s one thing that is certain. I am writing some virtual reality musical experiences that aren’t very good yet, but I think they’ll be good soon. My bands in Secret Dog Brigade are all super important to me, so I will keep writing, touring and recording with them. Bent Knee, one of the bands in the brigade, is touring hard all the time, so I am looking forward to traveling and performing too. Visit Ben Levin Group’s official website, like them on Facebook, and subscribe to their YouTube channel for more.